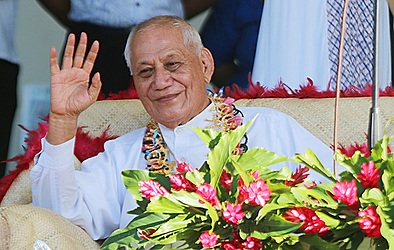 The former Head of State, Tui Atua Tupua Tamasese Efi and the Asian Development Bank (A.D.B.) have been named as the two new respondents to the Samoa Solidarity International Group (S.S.I.G.) $5 million lawsuit. The other respondents include: the Office of the Prime Minister, Attorney General, former Attorney General Aumua Ming Leung Wai, Ministry of Natural Resources and Environment (M.N.R.E) and the Samoa Land Corporation (S.L.C). Chief Justice, His Honour Patu Tiava’asue Falefatu Sapolu, presided over the civil mention in the Supreme Court yesterday. 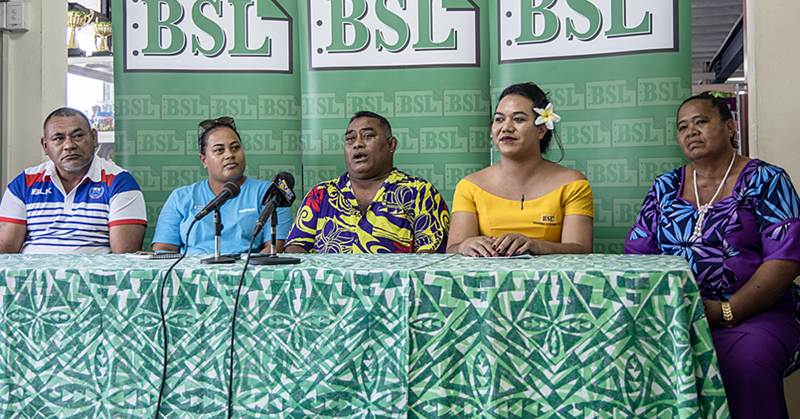 Lawyer Tafaialagi Peniamina of the Attorney General’s Office represented the Office of the Prime Minister, the Attorney General, the Ministry of Natural Resources and Environment (M.N.R.E) and the Samoa Land Corporation (S.L.C). While Muriel Lui represented Aumua Ming Leung Wai, and Unasa Iuni Sapolu represented the S.S.I.G..
Ms. Peniamina told the Court that there are two new defendants in the matter, defendant sixth and defendant seventh. Chief Justice Patu said there should be a motion to joint defendants (defendant - 1, 2, 3, 4, 5, 6 and 7). He adjourned the matter on February 25 for re-mention for “applicant to file and serve motion for joint”. “Secondly for the first, second, fourth and fifth respondents to file and serve a motion for security for cost,” he said. It was during the former Head of State tenure that the Lands and Titles Registration Act 2008 was passed and signed into law by Tui Atua. 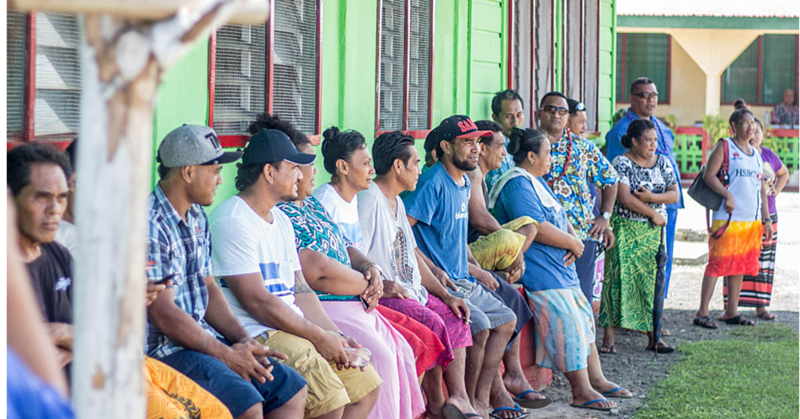 On the other hand, A.D.B and the Samoa Government were criticised for promoting the economic use of customary land as a result of Asian Development Bank’s technical assistance initiative for Samoa. Before Court proceedings began an elderly man – a supporter of the S.S.I.G. – took photos inside the Court. A police officer then informed him and others inside the Court room that this was not allowed. The court room was packed with supporters of S.S.I.G filling up the benches and others standing during the civil mention. The lawsuit by the S.S.I.G. is questioning the “legality and the constitutionality” of the Land Titles Registration Act 2008. The plaintiffs are asking the Court to void the Land Titles Registration Act 2008, any and all customary land leases be returned to their original and traditional state of ownership prior to 2008, all customary land owners be returned their rightful ownership status immediately, and others occupying the said land be legally removed. The six causes of action outlined in the S.S.I.G. claim are that the Government is in violation of Article 102 of the Constitution by implementing, authorising, passing and enforcing Land Titles Registration Act 2008 — which they allege alienates the traditional landowners and removes their legal rights to their customary land. Another cause of action highlighted in the claim is that Article 109 of the Constitution was allegedly violated by the defendants in passing a law that allows the alienation of customary land — without satisfying the requirement for a referendum vote — before submitting the said amendment of the Constitution to the Head of State’s signature. 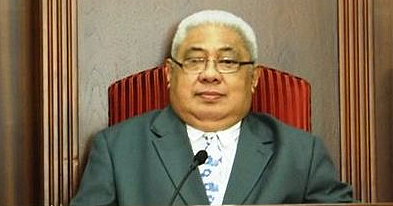 The third cause of action is that the Government passed the Land Titles Registration Act 2008 and enforced it for 10 years, thereby allegedly violating Article 2, which states that the Constitution shall be the supreme law of Samoa and also the Government violated Article 14 pertaining to rights relating to property. The fourth cause of action is freedom from discriminatory legislation where “the Government passed the Land Titles Registration Act 2008 and enforcing the arbitrary elimination of customary land ownership rights based on the availability of space on a registration document and by selecting owners based on their matai privilege as sa’o of the family is in violation of Article 15”. The last cause of action is that the defendants — in their roles from time of drafting and passing the Land Titles Registration Act 2008 to drafting and passing Land Titles Registration Act 2015 to permitting the Bill in 2017 before parliament — have all conducted themselves with either recklessness or gross negligence to the Samoa Constitution.